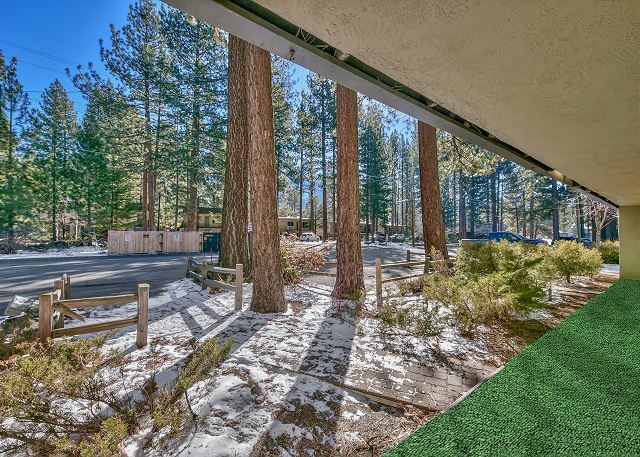 This Heavenly/Bavarian "stay and play" Condo is situated perfectly in the Heart of The Bavarian Village Resort and based minutes from World Class Heavenly Mountain Resort, World Famous Stateline Nevada and of course all that Lake Tahoe has to offer in the way of Beaches, Hiking, food, gaming and all sorts of indoor/outdoor adventure. 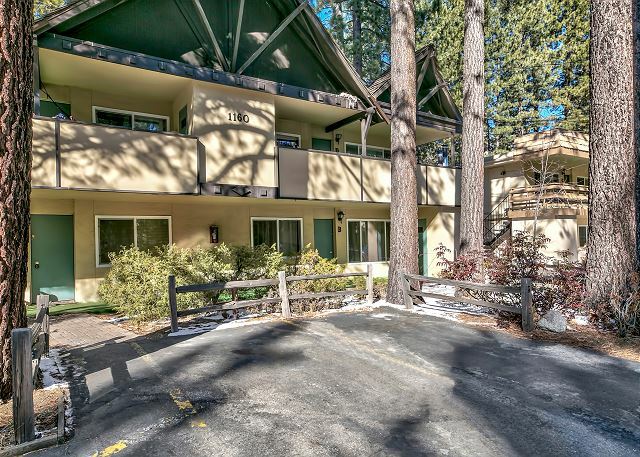 This wonderfully appointed condo has been requested over and over again by past guests and is always in demand and for good reason...it has everything the Lake Tahoe traveler will need for their daily outdoor excursions whether it be skiing, riding, mountain biking, fly fishing , hiking or just re-charging the batteries and upon returning from your adventures this perfect Bavarian retreat will work absolute wonders for your Lake Tahoe vacation. 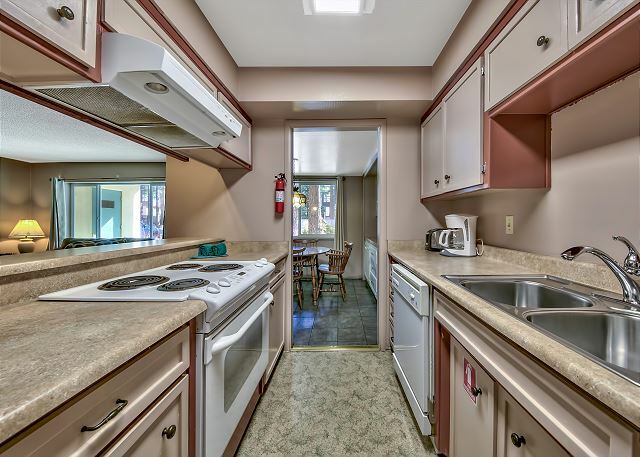 Great location, great price, left condo cleaner than we received! 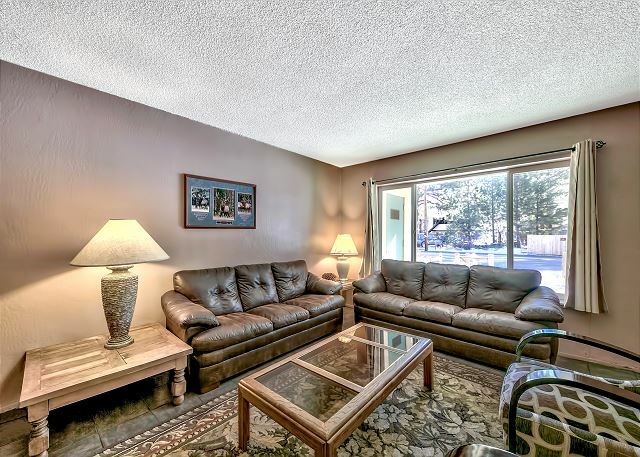 Great location, great price, left condo cleaner than we received! While it was by no means very dirty, it wasn’t spotless either. Overall a great experience, all appliances worked and location was safe/secure, would definitely recommend again! 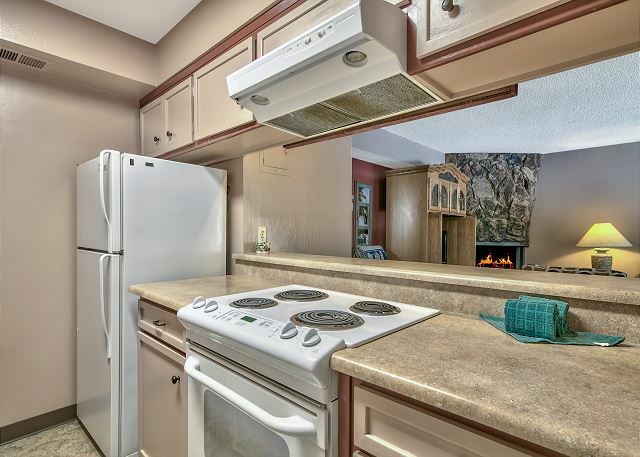 Condo items seemed pretty outdated throughout but we got such a great deal that we overlooked it! Glad you had a good time and thank you for the feedback. To be clear, this is a four-plex condo (not a stand-alone house) in a community called Bavarian Village. Didn’t realize that when booking. Upon arrival, we were a bit disappointed because the photos make it look bigger and nicer than it is. Be aware, it’s quite old and kind of shabby. And they’re crazy strict in their emails about not breaking any rules or you’ll be fined $1k, so we were scared to make a peep! Soon after we arrived, our upstairs neighbor grumpily let us know we’d parked in his spot, but there was no signage at all. You only get 1 spot and it’s so small and fenced in, I almost couldn’t open my doors enough to get out of the car. We parked our second car across the street and crossed our fingers no one would yell at us, fine us, or tow us. It took 3 of us to figure out how to get any of the TVs working. The instructions didn’t work and the DVD player wasn’t hooked up in the back. I finally figured out we just had to do everything with the buttons on the side of the TV, not the 3 remotes. 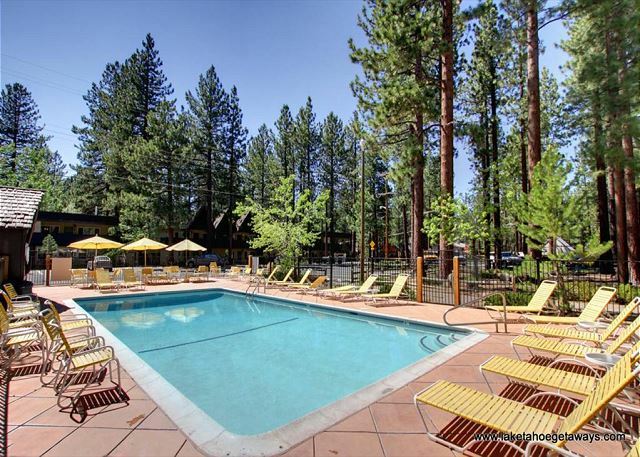 The good: It’s affordable, close to town, and there’s a heated pool and hot tub just across the way. With 3 bedrooms, 2 bathrooms, a kitchen, dining area, and good seating in the living room, we had plenty space for the 4 of us. There were plenty blankets and bath towels. 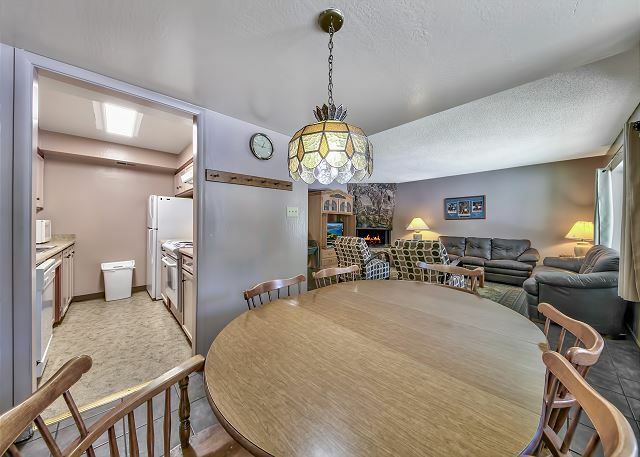 It’s not the Ritz, but the price is right, so if you’re looking for a budget friendly place for a non-fussy, quiet group, then it’s a good pick. Thank you for the notes, yes Tahoe is super strict on vacation rentals-but so far we haven't had any problems in Bavarian Village. We will definitely have the TVs looked at and make sure our Tech notes are up to date. Convenient to stateline and quiet. Great place to stay if you are staying longer than a weekend and you don’t want to eat out all the time. Grocery store near by and a Mexican restaurant in walking distance. Company was great. They let us check in three hours early with no fee. Clean and beds were not uncomfortable. A little dated but the convenience made the place. We will be coming back. Thank you, we appreciate the comments and hope you stay with us again. The location of the condo is great. It is close to everything and its towards the end of a dead end street so no traffic. It was clean and had all the basic stuff. It's not a closed community so to get to the Pool/hot tub you need to go down the main street and cross the street (I think the laundry is here also, we didn't use it). The condo is dated which was fine for us since we spent most of the time out. Another reviewer mentioned the low lighting and I thought how can that be an issue..until we arrived there. Its hard to explain but the entire condo is just dark even with all the lights on. Also the neighbors were loud, parties till 3am (I think the Tahoe noise ordinance laws don't effect them since is their condo), we did go on a holiday weekend so maybe that's why so we might just have gotten unlucky. Price was great so we might consider it again. Thank you so much for the review-we will check out the lighting, my visits have always been during the day, will check it out at night. The tenants next door are seasonal workers and we have reached out to the owner of that property to notify him of the complaints. Not only was the vacation home a great location, but the staff has been excellent. I accidentally left one backpack in the unit, and they've been incredibly patient in holding it for me. 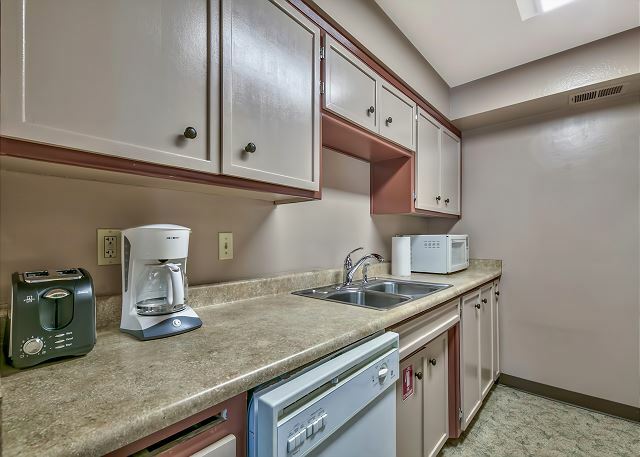 The unit was super clean, spacious, and was the best price for that weekend. I would definitely consider staying there again, especially if you don't mind a short drive or shuttle to the slopes. Thank you! We are glad you had a good visit and we hope you stay with us again. 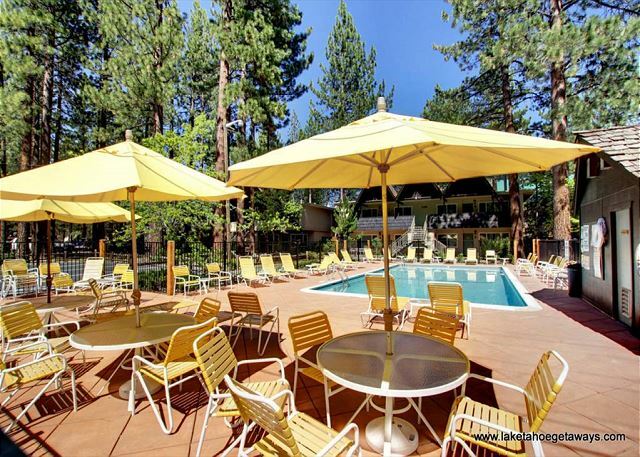 I've stayed at many Tahoe rentals over the years. You get what you pay for. 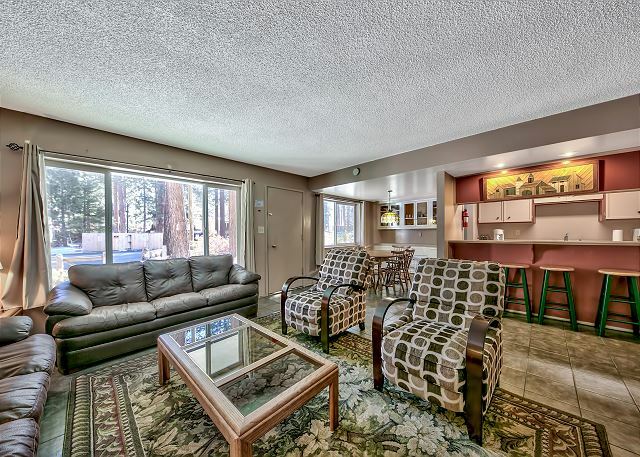 If you want to admire a view or vaulted ceilings this isn't the place for you. If you want to hang out with good and share your meals, this place is a bargain. 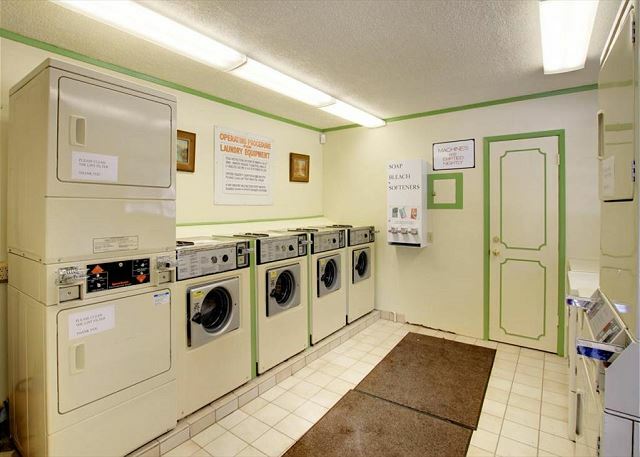 It was clean and the beds and furnishing were in good condition. We were having to much fun together to watch TV, so I can't report on that. The kitchen has plenty of utensils, pans, and salt but no coffee filters or pepper or any spices - so plan ahead or plan to go to the Safeway which is only a few blocks away. We could not find the hot tub key (which was in a bowl on the counter) - the property management were very quick to bring a key. Hangers in the closets would have been nice. 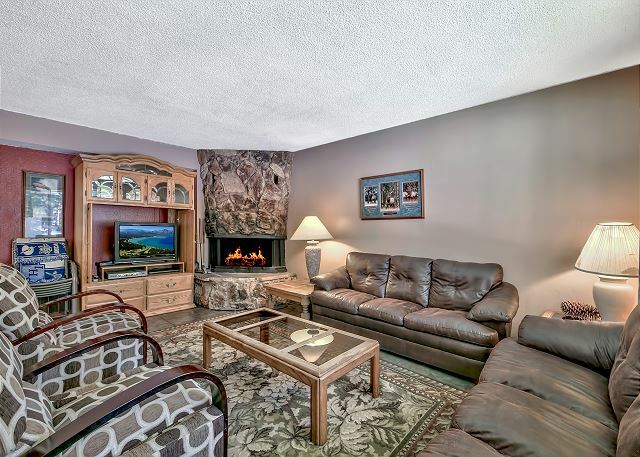 The house is in a perfect proximity to the Ski rentals and the Ski location. However, there are some improvements needed to make this play a 'Great Stay'. 1. Need better water heating system as the hot water gets over in 1-2 people shower. 4. More firewood would be nice. Thank you so much for the feedback, we will work on those items. Unfortunately given the plumbing set up we can't add an ice maker but will make sure there are trays there.